Cloud computing does not have to exist “out there” or “far away”. Cloud computing can be deployed just as easily in your office. An onsite cloud solution provides increased security and complete control while taking advantage of next generation technology. 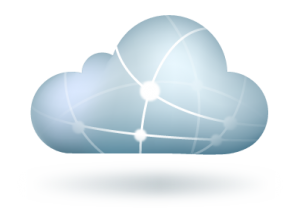 Cloud computing is location-independent computing, whereby shared servers provide resources, software, and data to computers and other devices on demand, as with the electricity grid. Cloud computing is a natural evolution of the widespread adoption of virtualization, service-oriented architecture and utility computing. Details are abstracted from consumers, who no longer have need for expertise in, or control over, the technology infrastructure “in the cloud” that supports them. Cloud computing describes a new supplement, consumption, and delivery model for IT services based on the Internet, and it typically involves over-the-Internet provision of dynamically scalable and often virtualized resources. It is a byproduct and consequence of the ease-of-access to remote computing sites provided by the Internet. This frequently takes the form of web-based tools or applications that users can access and use through a web browser as if it were a program installed locally on their own computer. Migration to Office 365 - Request a quote today!